For the model of automobile, see Imperial (automobile). An open crown is one which consists basically of a golden circlet elaborately worked and decorated with precious stones or enamels. ... The medieval French crown was of this type. ... the closed crown, which had bands of metal crossing usually from one side to the other and from back to front so that they met in the middle, at the top of the head. ... These arches are in part utilitarian, since they serve to strengthen the crown, in part decorative, since they are normally made to serve as supports for a central cross or jewel, and in part traditional, since a contributing element to the evolution of many medieval crowns was the structure of the early Germanic helmet, which had metal bands crossing at the top of the head to protect the skull from injury. A special case of a closed crown was that of the Holy Roman Empire. This was originally an open crown, made up of eight separate richly jewelled sections incorporating four magnificent enamelled plaques, but the Emperor Conrad II (1024–39) had added to it a kind of jewelled crest, running from front to back, to which he had thoughtfully attached his name, CHVONRADVS DEI GRATIA ROMANORV(M) IMPERATOR AVG(VSTVS). 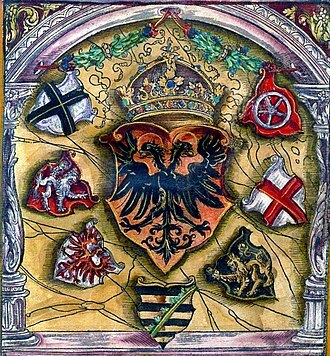 This jewelled crest was so closely associated with the notion of the imperial office that when the Hapsburgs made a new imperial crown in the 15th century in which they incorporated two large cusps resembling a mitre seen sideways, they provided it with a similar crest running from front to back and topped with a central jewel. ... Strictly speaking, therefore, the only type of crown whose characteristics can properly be regarded as imperial was one with a single crest running from front to back. In practice, in countries unfamiliar with closed crowns at all, any kind of closed crown was assumed to be imperial in character. During the medieval era the crowns worn by English kings had been described as both closed (or arched) and open designs. This was in contrast with kings of France who always wore an open crown. However, there is academic debate on how often closed crowns were used in England during this period, as the first unequivocal use of the closed crown was by Henry IV at his coronation on 13 October 1399. However his effigy on his tomb in Canterbury Cathedral wears an open crown so the link in England between the style of the crown and its representation as that worn by a king and an emperor was not established. The use of a closed crown may have been adopted by the English as a way of distinguishing the English crown from the French crown, but it also had other meanings to some. For example, Henry V wore a helmet-crown of the arched type at the Battle of Agincourt which the French knight St. Remy commented was "like the imperial crown". The association of the closed crown with imperial crowns was already established in Continental Europe by the late 14th century, for example the florins minted for Charles IV, Holy Roman Emperor) sometimes show him with a closed crown (though on the commoner variety, the crown is open). A miniature picture in the Chronica Aulae Regiae written in the great abbey outside Prague depicts his mother Elizabeth, a queen of Bohemia, wearing an open crown, while his two wives, who had imperial titles, have closed ones. During the machinations that surrounded the introduction of the imperial crown under Henry VIII (see the section below Legal usage), the closed crown, became associated as a symbolic representation of the English Crown as an imperial crown,[a][b] and has remained so until this day. 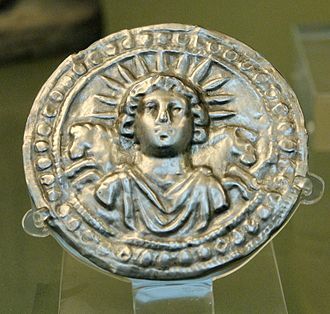 Depiction of the corona radiata or "radiant crown" associated with the cult of Sol Invictus (late 3rd century; Marcus Aurelius Probus). 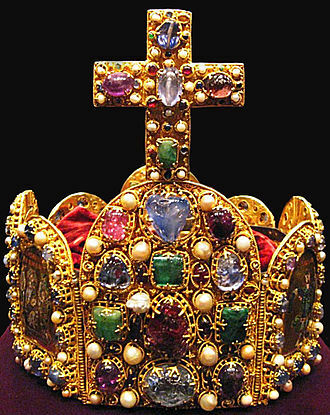 Imperial Crown of the Holy Roman Empire - coronation crown of Holy Roman Emperors-elect, the German Kings. Personal Crown of Frederick III depicted on his tomb. Personal Silk Imperial Crown presented to Nicholas II as his coronation gift in 1896. Personal Imperial Crown made for Holy Roman Emperor Rudolf II, later Imperial Crown of Austria. Imperial Crown of Russia - coronation crown of the Russian Tsars/Emperors. 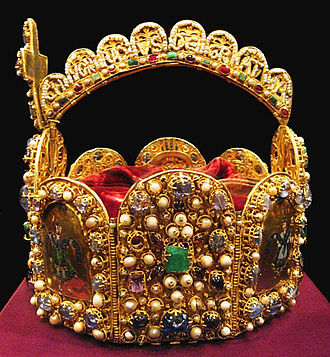 The Silk Imperial Crown of Russia was used as an official coronation gift of the Russian Empire for the coronation of Nicholas II, the last Emperor of the Romanov line. 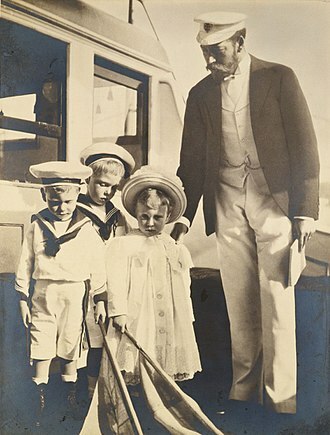 Nicholas II was the first and only monarch to be presented with such a monumental coronation gift. It was not intended as ceremonial regalia, but as private Imperial property - a memento to his coronation event. German State Crown, wooden model, 1872. Imperial Crown of Napoleon Bonaparte, called the "Crown of Charlemagne"
Imperial Crown of India - the Imperial Crown worn by King George V at the Delhi Durbar in 1911. Where by divers sundry old authentic histories and chronicles it is manifestly declared and expressed that this realm of England is an empire, and so hath been accepted in the world, governed by one supreme head and king, having the dignity and royal estate of the imperial crown of the same. The only supreme head in earth of the Church of England called Anglicana Ecclesia, and shall have and enjoy annexed and united to the imperial crown of this realm. During the reign of Mary I the First Act of Supremacy was annulled, but during the reign of Elizabeth I the Second Act of Supremacy, with similar wording to the First Act, was passed in 1559. During the English Interregnum the laws were annulled, but the acts which caused the laws to be in abeyance were themselves, deemed to be null and void by the Parliaments of the English Restoration, so by act of Parliament The Crown of England and (later the British and UK crowns) are imperial crowns. ^ Henry changed his coinage and his Great Seal from depicting himself with an open crown to a closed one to depict the imperial nature of the English Crown. 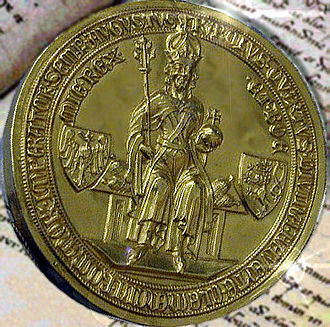 ^ Shortly before Henry VII of England started his breach with the Roman Catholic Church, Maximilian I, Holy Roman Emperor, as regent for his son Philip the Handsome, had the real d'or coin struck depicting a closed crown, which due to the close trading links between the Low Countries and England would have made the imagery familiar to English men involved in trade and this may have influenced Henry's choice of a difference style of crown. ^ Grierson 1964, pp. 127–128. ^ Chris Given-Wilson, Henry IV (New Haven: Yale University Press, 2016), pp. 151-52. ^ a b Grierson 1964, p. 129. ^ Grierson 1964, pp. 129, 133. ^ Grierson 1964, p. 130. ^ Grierson 1964, p. 130 footnote 3. ^ Grierson 1964, pp. 118, 130–131. ^ Grierson 1964, p. 131. ^ Grierson 1964, p. 118, 134. ^ Grierson 1964, p. 132. Wikimedia Commons has media related to Imperial crowns. The Battle of Agincourt was a major English victory in the Hundred Years War. The battle took place on Friday,25 October 1415 in the County of Saint-Pol, Henry V led his troops into battle and participated in hand-to-hand fighting. The French king of the time, Charles VI, did not command the French army himself as he suffered from severe psychotic illnesses with moderate mental incapacitation, the French were commanded by Constable Charles dAlbret and various prominent French noblemen of the Armagnac party. This battle is notable for the use of the English longbow in very large numbers, the battle is the centrepiece of the play Henry V by William Shakespeare. The Battle of Agincourt is well documented by at least seven contemporary accounts, the approximate location of the battle has never been in dispute and the place remains relatively unaltered even after 600 years. 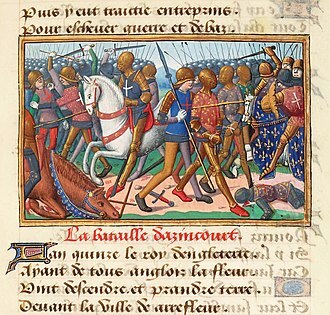 Two of the most frequently cited accounts come from Burgundian sources, one from Jean Le Fèvre de Saint-Remy, who was present at the battle, Henry V invaded France following the failure of negotiations with the French. He initially called a Great Council in the spring of 1414 to discuss going to war with France, Henry would marry Princess Catherine, the young daughter of Charles VI, and receive a dowry of 2 million crowns. 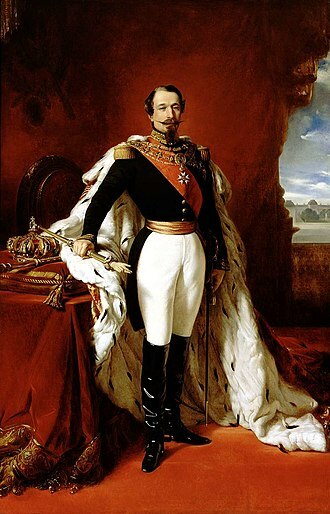 The French responded with what they considered the terms of marriage with Princess Catherine, a dowry of 600,000 crowns. By 1415, negotiations had ground to a halt, with the English claiming that the French had mocked their claims and ridiculed Henry himself. 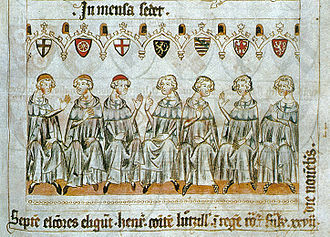 In December 1414, the English parliament was persuaded to grant Henry a double subsidy, on 19 April 1415, Henry again asked the Great Council to sanction war with France, and this time they agreed. The siege took longer than expected, the town surrendered on 22 September, and the English army did not leave until 8 October. The campaign season was coming to an end, and the English army had suffered many casualties through disease and he intended the manoeuvre as a deliberate provocation to battle aimed at the dauphin, who had failed to respond to Henrys personal challenge to combat at Harfleur. The Delhi Durbar, meaning Court of Delhi, was a mass assembly at Coronation Park, India, to mark the succession of an Emperor or Empress of India. Also known as the Imperial Durbar, it was three times, in 1877,1903, and 1911, at the height of the British Empire. The 1911 Durbar was the only one attended by the sovereign, the term was derived from common Mughal term durbar. The 1877 Durbar was largely an official event and not a popular occasion with mass participation like durbars in 1903 and 1911 and it was attended by the 1st Earl of Lytton—Viceroy of India, maharajas and intellectuals. This was the culmination of transfer of control of much of India from the British East India Company to The Crown and it was at this glittering durbar that a man in homespun spotless white khadi rose to read a citation on behalf of the Pune Sarvajanik Sabha. Ganesh Vasudeo Joshi put forth a demand couched in polite language. With this demand, it can be said that the campaign for a free India was formally launched, the durbar would be seen as controversial because it directed funds away from the Great Famine of 1876–78. The durbar was held to celebrate the succession of Edward VII and Alexandra of Denmark as Emperor, the two full weeks of festivities were devised in meticulous detail by Lord Curzon, Viceroy of India. It was a display of pomp and split second timing. Neither the earlier Delhi Durbar of 1877, nor the Durbar held there in 1911, souvenir guide books were sold and maps of the camping ground distributed. A special Delhi Durbar Medal was struck, firework displays, the assembly awaiting them displayed possibly the greatest collection of jewels to be seen in one place. Each of the Indian princes was adorned with the most spectacular of his gems from the collections of centuries, on the first day, the Curzons entered the area of festivities, together with the maharajahs, riding on elephants, some with huge gold candelabras stuck on their tusks. The durbar ceremony itself fell on New Years Day and was followed by days of polo and other sports, balls, military reviews, the world’s press dispatched their best journalists and photographers to cover proceedings. Charles IV, born Wenceslaus, was a King of Bohemia and the first King of Bohemia to become Holy Roman Emperor. He was a member of the House of Luxembourg from his fathers side and the House of Přemyslid from his mothers side and he was the eldest son and heir of King John of Bohemia, who died at the Battle of Crécy on 26 August 1346. Charles inherited the County of Luxembourg from his father and was elected king of the Kingdom of Bohemia, on 2 September 1347, Charles was crowned King of Bohemia. On 11 July 1346, the prince-electors chose him as King of the Romans in opposition to Emperor Louis IV, Charles was crowned on 26 November 1346 in Bonn. 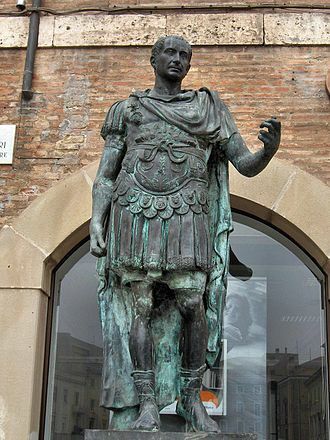 After his opponent died, he was re-elected in 1349 and crowned King of the Romans, in 1355 he was crowned King of Italy and Holy Roman Emperor. With his coronation as King of Burgundy in 1365, he became the ruler of all the kingdoms of the Holy Roman Empire. 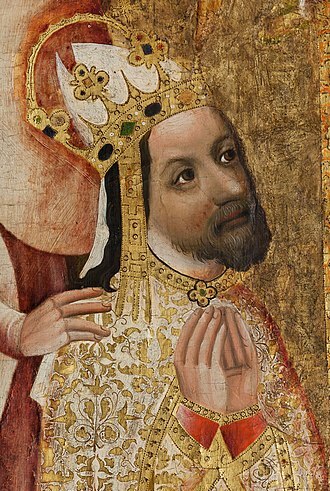 Charles IV was born to King John of the Luxembourg dynasty and he was originally named Wenceslaus, the name of his maternal grandfather, King Wenceslaus II. 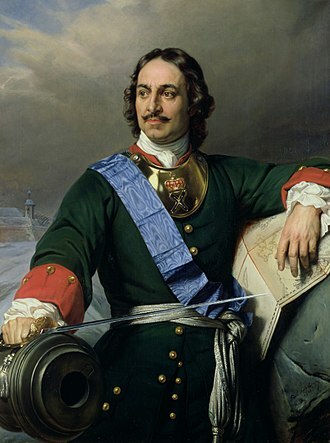 He chose the name Charles at his confirmation in honor of his uncle, King Charles IV of France and he received French education and was literate and fluent in five languages, Czech, German and Italian. In 1331 he gained experience of warfare in Italy with his father. At the beginning of 1333, Charles went to Lucca to consolidate his rule there, in an effort to defend the city, Charles founded the nearby fortress and the town of Montecarlo. 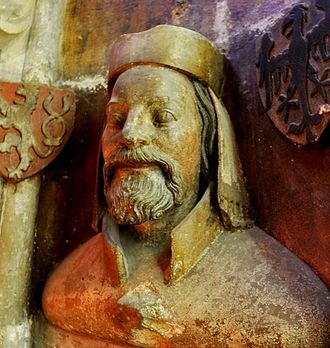 From 1333 he administered the lands of the Bohemian Crown due to his fathers frequent absence, in 1334, Charles was named Margrave of Moravia, the traditional title for heirs to the throne. Two years later, he assumed the government of Tyrol on behalf of his brother, John Henry, as he had previously promised to be subservient to Clement, he made extensive concessions to the pope in 1347. 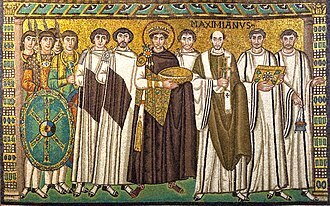 Confirming the papacy in the possession of vast territories, he promised to annul the acts of Louis against Clement, to no part in Italian affairs. Charles IV was in a weak position in Germany. The Black Princes Ruby is a large, irregular cabochon red spinel weighing 170 carats set in the cross pattée above the Cullinan II at the front of the Imperial State Crown. The spinel is one of the oldest parts of the Crown Jewels of the United Kingdom and it has been in the possession of Englands rulers since it was given in 1367 to its namesake, Edward of Woodstock. In 1820, the gemstone was valued at £10,000, all red gemstones used to be referred to as rubies or balas rubies. It wasnt until 1783 that spinels were differentiated from rubies, the two gemstones can be distinguished on the basis of their chemical properties, a red spinel is a compound of magnesia and chromium, while a ruby is a type of aluminium oxide. The rarity of this spinel, however, is that it is the biggest uncut spinel in the world, given that it has only been polished slightly and it is possible the gem originates from the historic ruby mines in present-day Tajikistan. The Black Princes Ruby enters the stage of history in middle of the 14th century as the possession of Abū Saīd, Abū Saīd in particular was confronted by the belligerency of nascent Castile under the rule of Peter of Castile, known to history as Don Pedro the Cruel. According to historical accounts, Abū Saīd wished to surrender to Don Pedro, what is clear is that Don Pedro welcomed his coming to Seville. It is recorded that he greatly desired Abū Saīds wealth, when Abū Saīd met with Don Pedro, the King had Abū Saīds servants killed and may have personally stabbed Saīd to death himself. Upon searching Saīds corpse, the spinel was found and added to Don Pedros possessions, in 1366, Don Pedros illegitimate brother, Henry of Trastámara, led a revolt against Don Pedro. Lacking the power to put down the revolt unaided, Don Pedro made an alliance with the Black Prince, the revolt was successfully put down and the Black Prince demanded the ruby in exchange for the services he had rendered. While historians speculate that this was contrary to Don Pedros desires and it can be assumed that the Black Prince took the Ruby back to England, although it is absent from historical records until 1415. During his campaign in France, Henry V of England wore a helmet that included the Black Princes Ruby. Imperial was the Chrysler Corporations luxury automobile brand between 1955 and 1975, with a brief reappearance in 1981 to 1983, and a second reapearance from 1990-1993. The Imperial name had been used since 1926, but was never a separate make, for the 1955 model year, the Imperial was launched and registered as a separate marque, apart from the Chrysler brand. It was a product of the new Imperial Division of Chrysler Corporation, meaning that the Imperial would be a make and division unto itself, and not bear the Chrysler name. Chrysler Corporation sent notices to all state licensing agencies in the states that the Imperial, beginning in 1955, would no longer be registered as a Chrysler. Chrysler introduced Forward Look Styling by Virgil Exner, who would define Imperials look from 1955 to 1963, once the Imperial brand was introduced, Cadillac no longer used the imperial name for its top-level limousines starting in 1955. The 1955 models are said to be inspired by Exners own 1952 Chrysler Imperial Parade Phaeton show cars, the platform and bodyshell were shared with that years big Chryslers, but the Imperial had a wheelbase that was 4. Gunsight taillights were known as sparrow-strainer taillights, named after the device used to keep out of jet-engines. Such taillights were separated from the fender and surrounded by a ring and became an Imperial fixture through 1962, although they would only be free-standing in 1955-56 and again in 1961-62. Two C-69 models were available, including the two-door Newport hardtop coupe and pillared four-door sedan, the FirePower V8 engine was Chryslers first-generation Hemi with a displacement of 331 cu in and developing 250 brake horsepower. Power brakes and power steering were standard, along with Chryslers PowerFlite automatic transmission, one major option on the 1955 and 1956 Imperials was air conditioning, at a cost of $535. Production totaled 11,430, more than twice the 1954 figure, the 1956 models were similar, but had small tailfins, a larger engine displacement of 354 cu in with 280 brake horsepower, and a four-door Southampton hardtop sedan was added to the range. With a wheelbase of 133.0 inches, longer than the years by 3.0 inches. An emperor is a monarch, usually the sovereign ruler of an empire or another type of imperial realm. 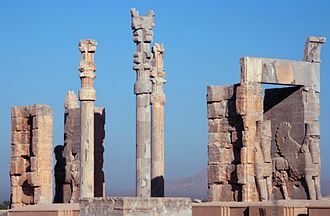 Empress, the equivalent, may indicate an emperors wife, mother. Emperors are generally recognized to be of an honour and rank than kings. The Emperor of Japan is the currently reigning monarch whose title is translated into English as Emperor. Both kings and emperors are monarchs, but emperor and empress are considered the higher monarchical titles. In as much as there is a definition of emperor, it is that an emperor has no relations implying the superiority of any other ruler. 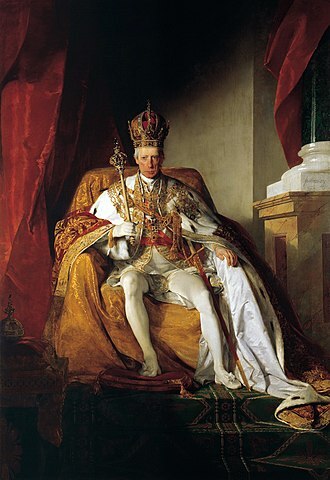 Thus a king might be obliged to pay tribute to another ruler, or be restrained in his actions in some unequal fashion, although initially ruling much of Central Europe and northern Italy, by the 19th century the Emperor exercised little power beyond the German speaking states. 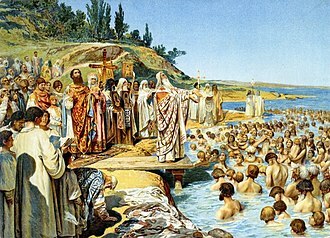 In Eastern Europe the rulers of the Russian Empire used translatio imperii to wield authority as successors to the Eastern Roman Empire. 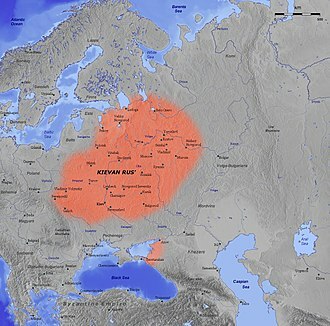 Their title of Emperor was officially recognised by the Holy Roman Emperor in 1514, in practice the Russian Emperors are often known by their Russian-language title Tsar, which may used to refer to rulers equivalent to a king. 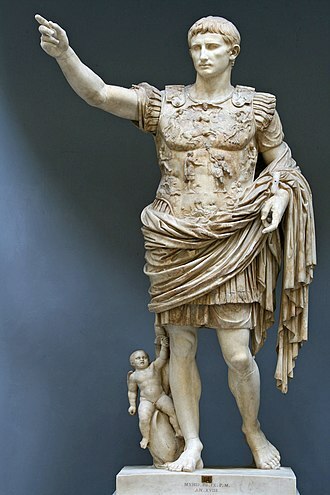 Historians have liberally used emperor and empire anachronistically and out of its Roman and European context to any large state from the past or the present. 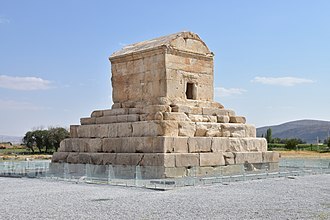 Such pre-Roman titles as Great King or King of Kings, used by the Kings of Persia, however such empires did not need to be headed by an emperor. 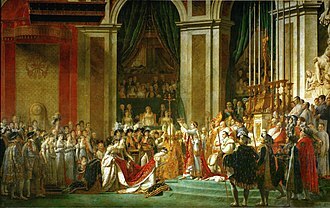 Empire became identified instead with vast territorial holdings rather than the title of its ruler by the mid-18th century, outside the European context, emperor was the translation given to holders of titles who were accorded the same precedence as European emperors in diplomatic terms. In reciprocity, these rulers might accredit equal titles in their languages to their European peers. Through centuries of international convention, this has become the dominant rule to identifying an emperor in the modern era, the name of the position split in several branches of Western tradition, see below. Later new symbols of worldly and/or spiritual power, like the orb, rules for indicating successors varied, there was a tendency towards male inheritance of the supreme office, but as well election by noblemen, as ruling empresses are known. 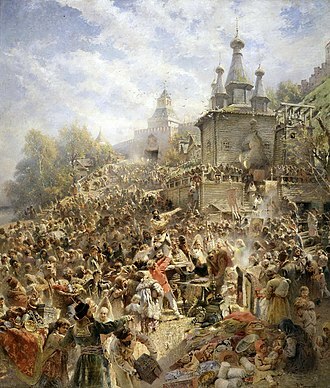 Empress Anna abrogates the "Conditions"
In this 1878 painting by Valery Jacobi, the scared newlyweds Mikhail Golitsyn and Avdotya Buzheninova sit on the icy bed to the left; the jocular woman in golden dress is Empress Anna. Court jesters of Empress Anna Ioanovna. Painting by Valery Jacobi. The Delhi Durbar of 1877. The Viceroy of India is seated on the dais to the left. Lord and Lady Curzon arriving at the Delhi Durbar, 1903.